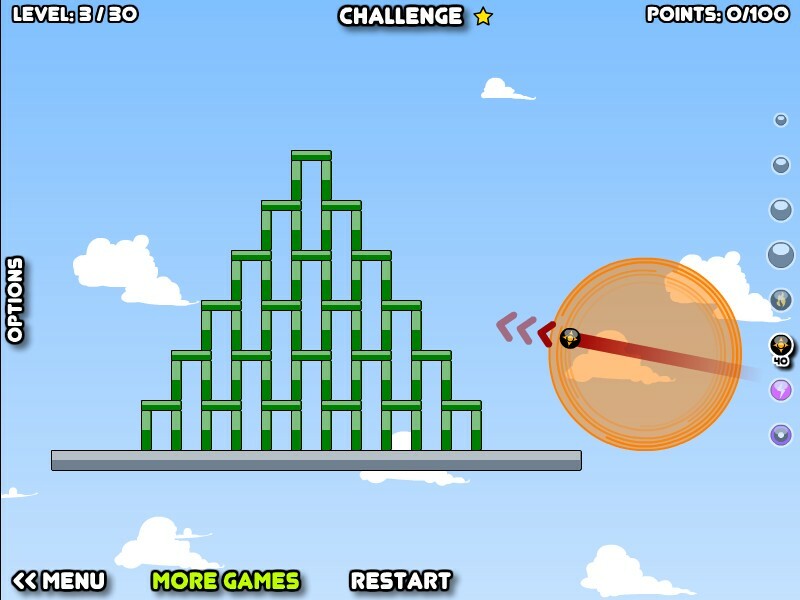 Aim And Shoot Physics Puzzle Not Doppler Click to find more games like this. 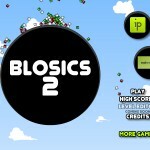 This is sequel of the awesome physics-based demolition game called Blosics. 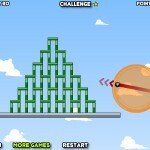 Your goal is to fire the various balls to knock the green blocks off the stage. 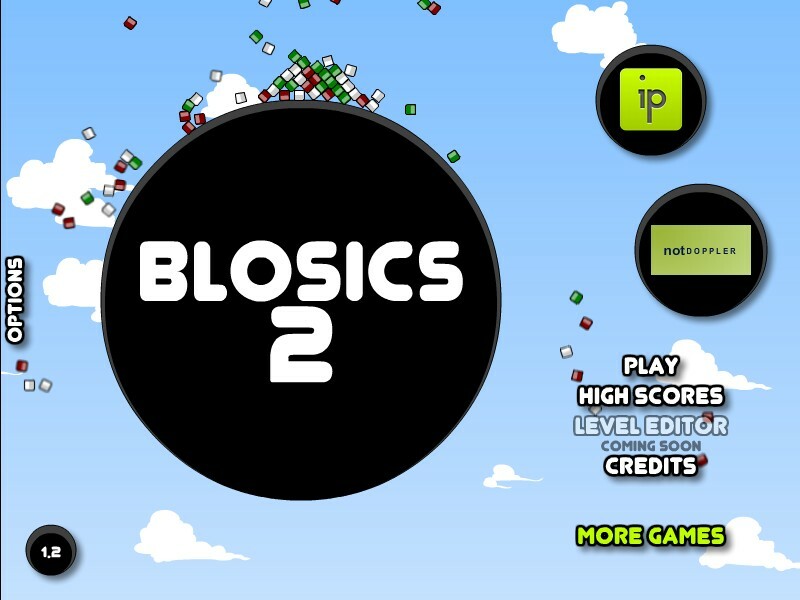 Don't throw red blocks off or you will lose points. 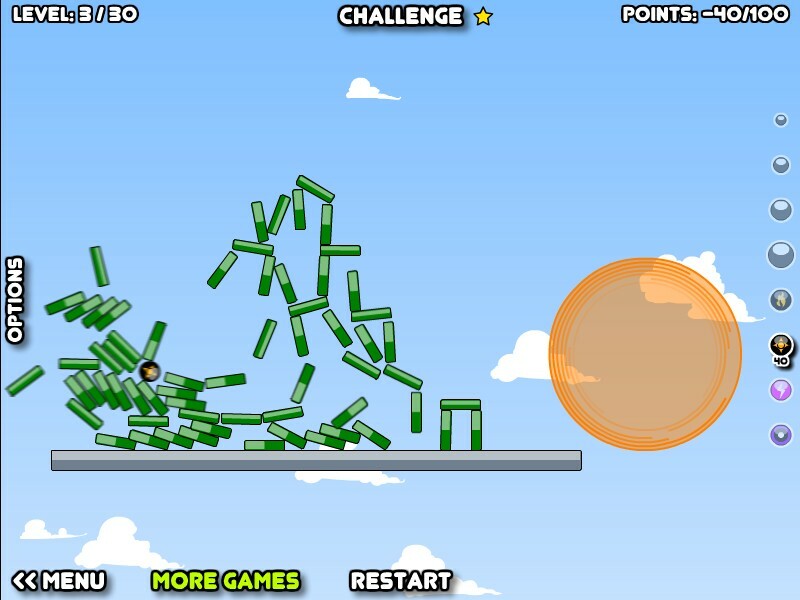 Use YOUR MOUSE inside the "Ball Summoning Area" (the orange circle), click and hold LEFT MOUSE BUTTON, pull back, release to fire the ball. 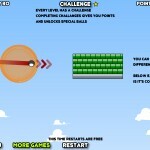 Press SPACEBAR to cancel your shot. 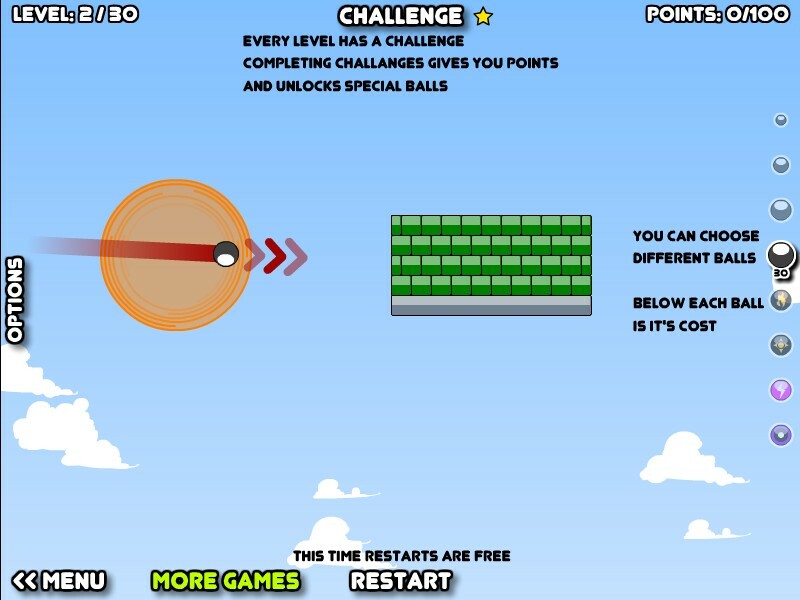 Choose from various balls on the right side, but remember the bigger ball the more points it costs. Good luck!